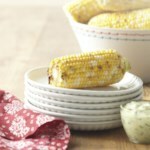 Want to know how to microwave corn on the cob? 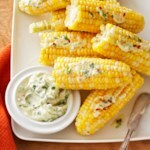 This microwaved corn on the cob recipe starts with 4 ears of fresh summer corn. 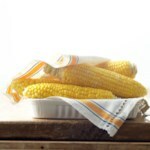 Place corn (still in the husk and untrimmed) in a microwave-safe dish; microwave on High for 5 minutes. 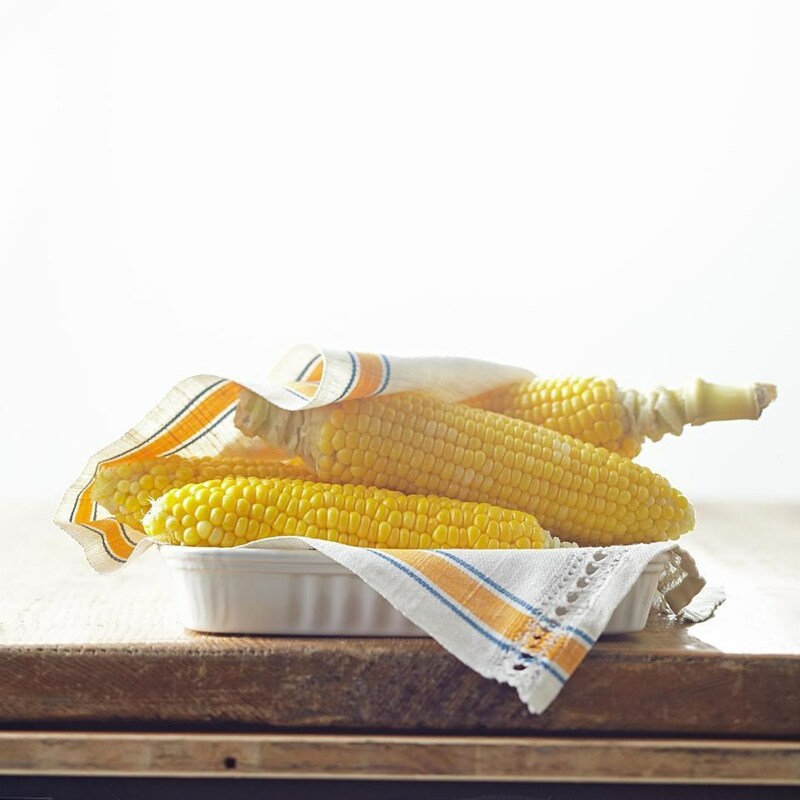 Using a towel or wearing gloves, transfer the corn to a cutting board. 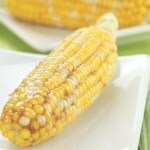 Use a sharp knife to cut off the stem end, including the first row of kernels. Make sure you cut all the way through the husk. Using a towel (or wearing the glove), grasp the ear of corn from the top end and shake the ear. 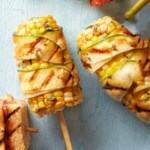 The cooked corn will slip right out of the husk, completely free of silks.